I was tagged by Raquel at RADIODDBOOKS about a month ago. Go and check out her answers to this tag. 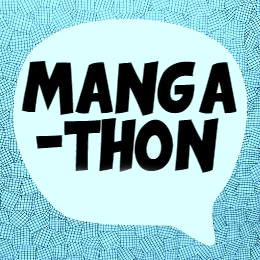 She’s also participating in my #ReadManga18 challenge, and I’ve been super excited following her progress! This is technically a Valentine’s Day tag, so the questions are “couples” related. If romance is not your thing… umm… then this is going to be a disappointing read! Naoki and Kotoko from Itazura na Kiss by Kaoru Tada. This is a classic shojo relationship featuring a dynamic couple with completely opposing personalities and skills. Ditzy Kotoko has fallen for the Genius Naoki. When Naoki realizes he might have a passion to pursue medicine, Kotoko pursues Naoki all the way to nursing school. Though they get into medicine difference ways, they end up finding a common passion, and a dream to work together after graduation. The unlikely story of Yuri, a Japanese teenager pulled back in time to the 14th century BC by the Tawannana (empress) of the Hittite Empire. Stuck between wanting to return to her home in Japan, and staying to help the man she loves, Yuri becomes Ishtar the goddess of war and has the romantic adventure of a life-time. This makes it into my top 10 manga (there may be more than 10 in the list, but… this is one of them). An absolute must read. It’s intensely romantic, terribly tragic, and perfectly satisfying. It’s easy to sympathize with the characters being both a well-developed story, and a well translated one. And, such fun when some famous characters from Ancient Anatolia & Egypt are thrown in the mix. I’ve read it every year (at least once), and the only thing I regret is how much sleep I lose when I’m at it! I really should consider taking a week off of work to dedicate myself to this epic series. I just can’t stop reading when I get started!